Michael The O'Kelly is a reporter for a major British newspaper. This highly acclaimed journalist has as his beat all of Europe and the Middle East, an area he knows well from him many years as a seasoned operative for the British Secret Service in the decade leading up to and through World War II. When the hostilities ended, O'Kelly felt that his time in the clandestine world had as well and he chose a new career which gave him the same chance to travel and explore without so much danger. At least, that was what he told himself but after so long a time putting his life on the line for facts that others did not want him to know, changing his habits was too difficult. 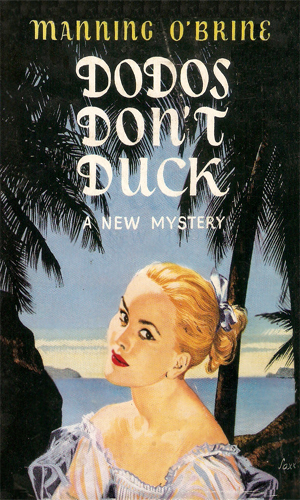 This former agent has the most unusual middle name in all of spy fiction. Whether it is a holdover from his Irish heritage, a lineage he is quite proud of even as he holds British citizenship, or something else is not known. He freely uses it in the first adventure but by the fourth book, it is never mentioned. In fact, by then he was known to one and all as Mike O'Kelly, famed reporter and writer. He had by then decided to quit his newspaper job to concentrate full time on his writing but he maintained his connections just in case. Regarding his Irish roots, it is on his father's side with his mother being born and bred in Vermont, allowing him the opportunity to have yet another citizenship. O'Kelly loves a mystery and loves to dig into a case to find out the truth, probably not so much to get the truth but to enjoy the digging. It is this love of the chase or hunt that keeps him constantly getting into situations that nearly cost him his life but which bring so much enjoyment. The fact that most of the plots and conspiracies that he discovers concern governments against governments or terrorists against everyone is the reason for his inclusion in this collection. If ever an international reporter deserved to be here, Mike O'Kelly is it. 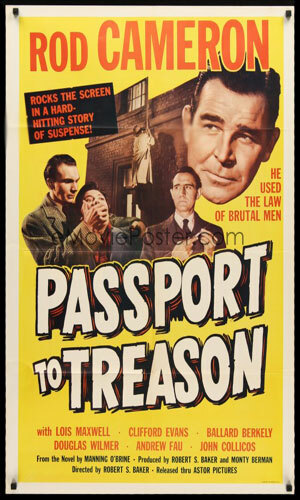 Note: in 1956, the sixth recorded adventure of O'Kelly, Passport To Treason, was made into a movie starring Rod Cameron as O'Kelly and costarring the lovely Lois Maxwell a few years before she became the stalwart Miss Moneypenny. 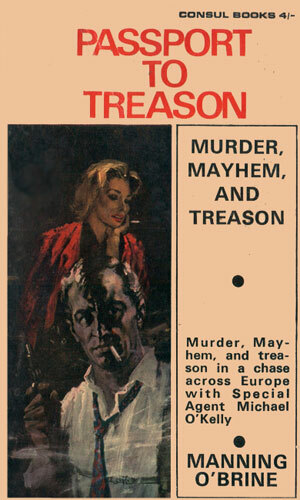 Though the main plot of the movie remained true to the book, O'Kelly was changed from being a reporter/writer to being a private investigator in London even though he was so obviously an American in voice and attitude. Having your embassy bombed while you are in town is too much of a lure if you are a nosy reported like O'Kelly. He is not just out for the story, though. He wants the terrorists. O'Kelly expected that the Mediterranean cruise liner he was on would be the perfect place to relax from his habit of finding trouble. 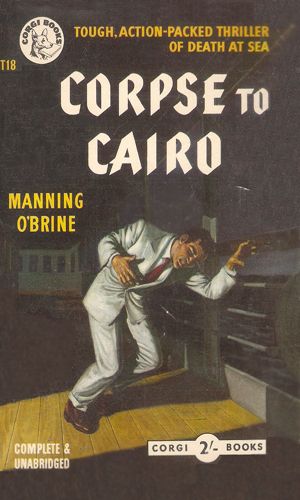 He finds murder instead and ends up chasing the killer through the streets of Cairo. O'Kelly knows that to be as dead as a dodo is to be truly dead and he may well become such as his visit in Mauritius coincides with several murders. As he sticks his nose into the cases, he discovers that his name is apparently on the short list of victims. 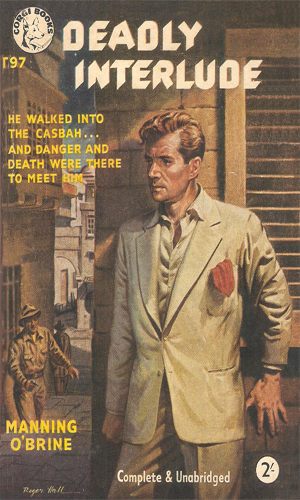 Michael O'Kelly was well aware of the dangers of the Casbah for people putting their noses where others did not want it but the story was too good to ignore. 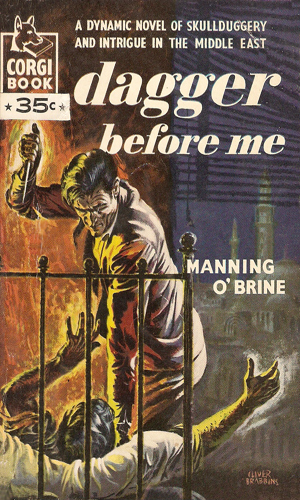 A US Senator travelling in Naples is the target for death as a crime lord has decided the time for revenge had finally come. O'Kelly is there when the action starts and cannot resist joining. When his private detective friend is murdered, O'Kelly decides to complete the case which takes him up against a group masquerading as a pacifist society but really planning to take over the world. It started with the discovery of an American diplomat dead in a pharaoh's tomb in Egypt. Then O'Kelly meets a beautiful British agent and the two are soon heading to Damascus on the trail of a killer. 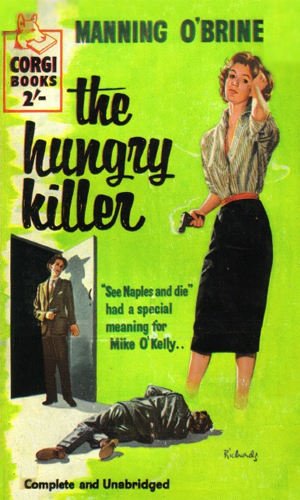 Written during the time that hard-boiled detective stories were so very popular, the adventures of Michael O’Kelly fit that genre as well as it does the spy-fiction category, with the possible exception of the fact that O’Kelly is not yet quite so jaded. He is by no means naïve but he still wants to believe in others even when he knows he shouldn’t. He likes to have a good time, too, which puts him in the company of the hard drinking detectives but again he has his differences in that he does not drink to forget but because he really enjoys it. When you read these seven novels stretching 6 years of actual time and then read three books in the Mills series written from 69-75, you have to wonder if someone had borrowed the author’s name for the latter because the books in the first series are upbeat and the hero is dashing and fun-loving and invited to all the great parties while the hero of the other is the last person you would invite. Mills is dour while O’Kelly is lively. Mills is jaded and O’Kelly is still hopeful (doubtful but hopeful). Quite a difference. I liked the O’Kelly stories. The movie was fun to watch if for just Ms. Maxwell by herself but one should not watch it thinking it is like the books. It is dark and foggy and noir. 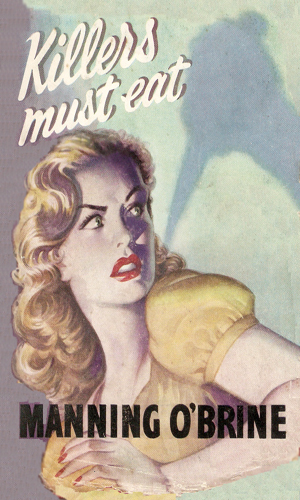 The books are hard-fisted and adventurous. O’Kelly is a good egg.